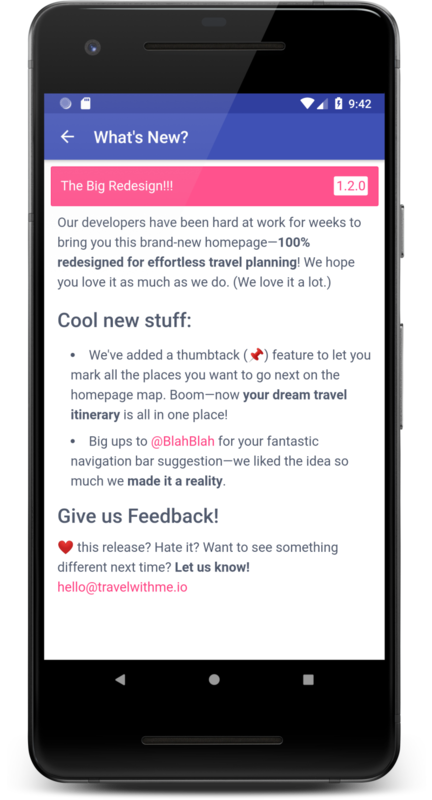 Appnouncements is aimed at making it as easy as possible for businesses to embed beautiful release notes right inside their app. 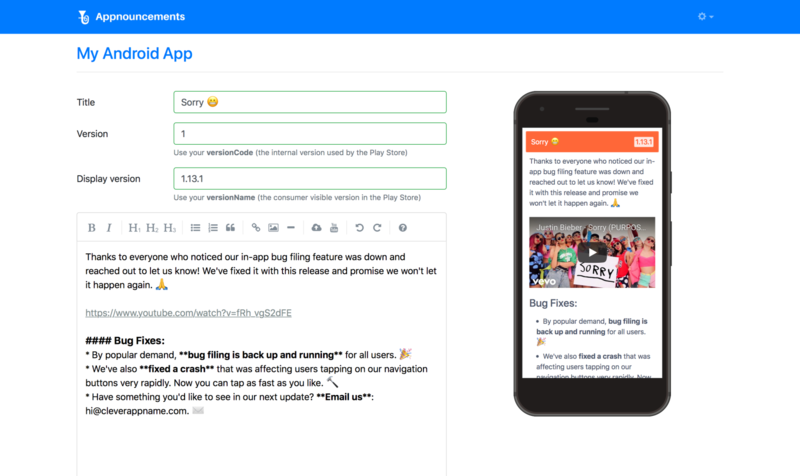 Every mobile app I’ve ever worked on has needed this feature over the course of its development – After all, if none of your users know you’ve released a feature or fixed important bugs, what was the point? That being said, it was still difficult to prioritize it in between more pressing work. After my launch, there will be no excuse for that again 😊. It has been a blast developing it over the past few months and I’m excited to talk about it more on here before and after launch whether it’s a success or failure! If this looks interesting to you, visit Appnouncements and sign up for the mailing list to find out when it launches. Also, feel free to contact me directly via email or LinkedIn to ask about early access, coupons or just to talk about your needs.